During February, the demonstrations swept Bahrain. The demonstrators demanded democracy, free elections, and more job opportunities. What is the authority’s take on this? 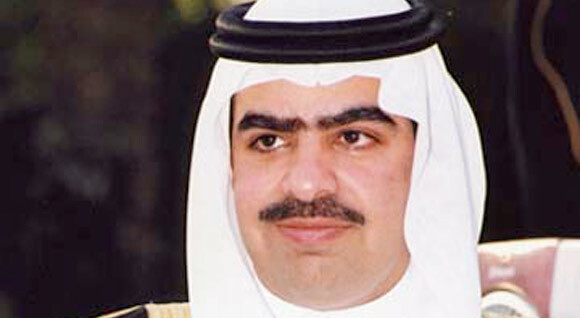 The Bahrain Government intends to carry on its steady reform for the country. track record of political, social and economic development. Within one week of the protests starting, the Government offered a comprehensive and peaceful solution, inviting representatives from all communities to sit down and provide a solution for all parties. Despite every opportunity the opposition rejected dialogue - to the detriment of the moderate majority across all sections of society. Extremist elements gained traction pursuing a divisive and destructive agenda. By mid March, Bahrain was descending rapidly into lawlessness . There was little option but to introduce emergency laws. National Safety, a step below martial law, was put in effect, but the State of National Safety ended on June 1st – sooner than required by the original royal decree. A National Dialogue was called for by his Majesty King Hamad bin Isa Al-Khalifa, whereby approximately 300 participants for all sectors of society began addressing in July the main issues facing the country, including political, economic, social and human rights issues. One of the key recommendations from the National Dialogue is that the powers of Parliament need to be increased, in particular by granting it enhanced democratic scrutiny over the Government. The recommendations of the National Dialogue will be passed into legislation by the new Parliament following forthcoming bye-elections in September. At the invitation of His Majesty, an international commission of inquiry, the Bahrain Independent Commission of Inquiry (BICI), was established on 29th June 2011. The Commission has been tasked with investigating and reporting on the events that took place in Bahrain from February 2011, and the consequences of those events. The BICI is due to publish its findings at the end of October this year. The Commission has been asked to determine whether the events of February and March 2011, and thereafter, involved violations of international human rights law and norms, and to make the recommendations that it deems appropriate for Bahrain. The commission is wholly independent from the Bahrain Government. What are the challenges Bahrain is facing? How do you respond to them? One of the main issues facing Bahrain at present is its perceived negative standing in the international community. As the unrest in Bahrain in February and March occurred concurrently with unrest in other countries, such as Tunisia and Egypt, Bahrain was grouped together with what has been dubbed the ‘Arab Spring’ group of countries. The Bahrain Government considers this to be resolutely unfair for several reasons. Among regional [[fellow Gulf Cooperation Council (GCC)]] countries, Bahrain has been among the most liberal and reform minded of all. His Majesty the King has been pursuing policies of steady reform ever since his accession to power in 1999. Christian, Jews and other ethnic communities have considerably more freedom of expression and action than many regional countries. When the events of February struck Bahrain, one mistake that the Bahrain Government made was to cease speaking to the world’s media. So the media spoke to and quoted the opposition, with the effect that overall picture of the Government’s policies and actions was misrepresented. Yes, mistakes were made, and there was over-reaction by the Government when events started to get out of hand. But lessons have been learnt, and the Government has been addressing unresolved issues, not least by instituting the National Dialogue and the BICI inquiry mentioned in the previous answer above. The Information Affairs Authority (IAA) is responding to these issues by trying to engage the international media, and by trying to get the Bahrain Government’s policies and actions across to the international media. As a newly formed authority, what is your strategy? What are the biggest priorities? 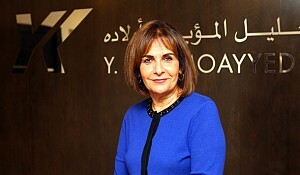 The IAA’s strategy is aimed at turning around the negative coverage about Bahrain in the international media. In order to achieve this, we need to explain the Bahrain Government’s position more clearly and engage international journalists more effectively. In the past since February this year, opposition figures and their demands have been covered extensively in the international media, while the Government has failed to get its position across. The IAA needs to get senior Government officials quoted in the international media, and needs to explain to the international media the true background to the events of this year in Bahrain. In order to do so, we need to ensure that positive coverage is published in key international media outlets, not least by proactively sending out IAA press releases written specifically with the international media in mind. We are also aiming to get positive coverage in social media to outweigh negative coverage. How confident are you that stability in Bahrain will prevail in 2011 – 2012? 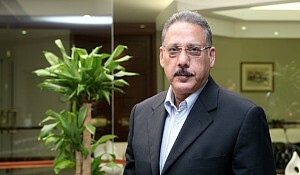 The indications are that stability in Bahrain will prevail in 2011-2012. Since March, Bahrain has gradually been settling down. There is unrest, mostly in villages, of a continuous but not extreme nature. The process of holding the above-mentioned National Dialogue was successfully carried out and completed. Towards the end of August, candidates managed without any hindrance to announce their candidacy for forthcoming bye-elections, which were held on 24th September for 18 of the 40 seats of the fully elected Lower House of Parliament. These seats fell vacant when all the former Members of Parliament of the Shia party, Al-Wefaq, resigned together on 27th February. This was followed by the run-off bye-elections in cases where there was no 50% majority for elected candidates in certain constituencies. Two women won their seats in the Bahrain Parliamentary run-off bye-elections, bringing the total number of women now in the 40-seat Lower House of Parliament to a record number of four. What is the agenda for 2011? What are the upcoming events? Upcoming events include the opening of the Parliamentary session following the completion of bye-elections and the BICI is due to publish its findings at the end of October.